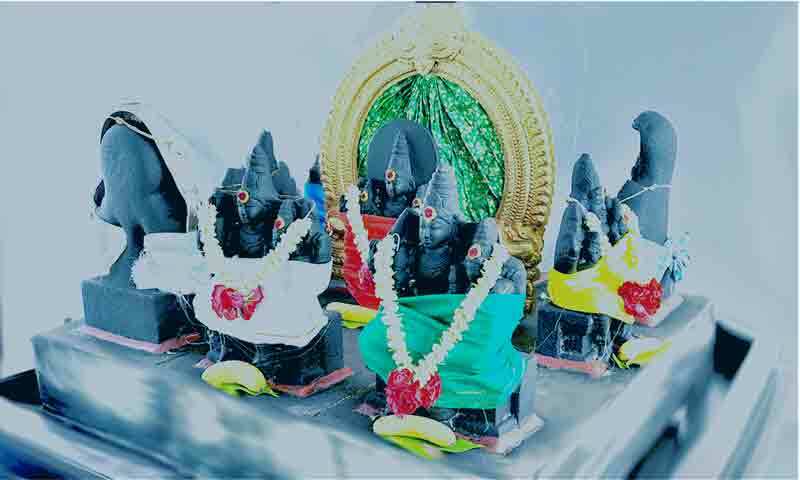 Navagrahas, the nine planetary gods have a great significance in Hinduism, since they play an important role in influencing the destiny of individuals. According to Hindu beliefs a person's fate depends upon the planetary positions not only at the time his or her birth but also at various times when important events take place or when important works are undertaken. The Navagrahas are usually found installed together in most Hindu temples, and people worship them together. However, each of them also have specific temples built for them in various parts of India. Deities like Shani, Budha, Kuja are particularly worshipped by devotees to overcome misfortune and ward off evil influences. The following is a very powerful Navagraha prayer used by devotees to worship them collectively.